Mindful journalism was the focus of a segment on Radio National’s Media Report (@RNmediareport) this week (September 3, 2015) when I was interviewed by host Richard Aedy (@richardaedy) on the application of Buddhist ethics to reporting. Interested? You can listen to the 10 minute segment here. I’ve also written a shorter account of the basic principles in the journal Ethical Space: The International Journal of Communication Ethics, and the editors have been kind enough to make that article available for free viewing as a feature item on their website here. You might also want to explore some of their other fascinating articles on media ethics here and perhaps subscribe. 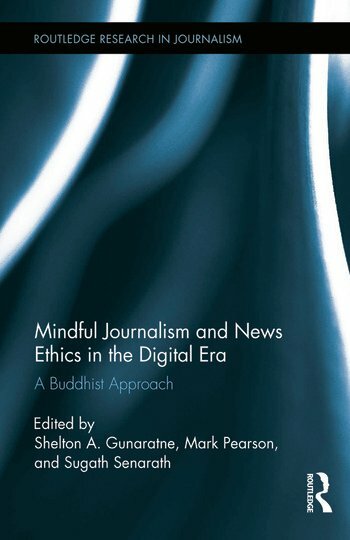 I’ve also written an article on the “Right Speech” aspect of mindful journalism for the International Communication Gazette titled ‘Enlightening communication analysis in Asia-Pacific: Media studies, ethics and law using a Buddhist perspective’. Its abstract and link to the full article is available here. The article proposes the Buddha’s Four Noble Truths and their associated Noble Eightfold Path (magga) can be fruitful tools for informing communication theory and analysis, and media law and ethics. The article begins by assessing the extent to which communication and media studies in Asia and the Pacific has shifted to accommodate non-Western approaches. In media analysis, it suggests the Buddha’s teachings on Right Speech (samma vaca) offer key understandings to assist with the deconstruction of media texts. 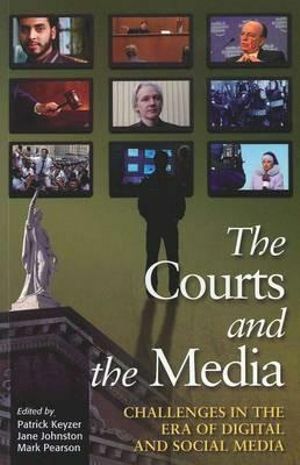 In media law and ethics, it extends the application of Right Speech principles to comparing defences to libel (defamation) as they have developed in four Western jurisdictions. In this globalised, multi-cultural and multi-jurisdictional Web 2.0 era there should be no reason why the Judeo-Christian lens should have a monopoly on our examination of communication law. 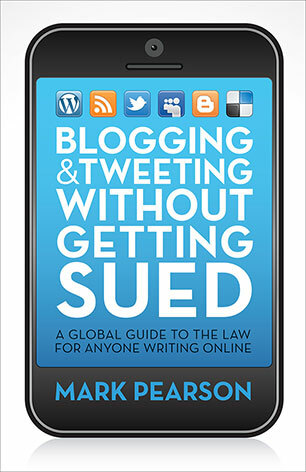 A mindful reading of defamation law benefits from a consideration of both Right Speech principles and concepts of necessary truth-telling. While it is far-fetched to expect judges and legislators in the West would turn to Buddhism for the reform of defamation law, an effort to abide by truth-telling and Right Speech principles could operate effectively when professional communicators are attempting to avoid libel litigation when pursuing their stories. Further, they present excellent tools for an alternative analysis. Analysis of the development of defamation defences in Canada, the UK, Australia and the U.S. benefit from a Buddhist reading. In Grant v. Torstar Corp., 2009 SCC 61,  3 S.C.R. 640, the Supreme Court of Canada developed a ‘responsible communication’ defence to defamation for matters which might not have been able to be proven absolutely as true, but were still diligently reported and were clearly in the public interest to be aired within the spirit of the Canadian Charter of Rights and Freedoms protection of free expression. .. It is possible to implement a Buddhist approach using the Right Speech teachings from the Noble Eightfold Path to conduct an analysis in this area of communication law. The author proposes to do this more thoroughly in future work. However, for the purposes of this argument we might return to the Abhaya Sutta cited earlier and contrast these defences as they have been developed in these jurisdictions (Thanissaro, 1997). Crucial to the Canadian ‘responsible communication’ defence and its qualified privilege cousins in the UK and Australia is the extent to which reporters and publishers honestly believe in the truth of the defamatory material published, even though they might not have the firm evidence to prove this in court. They would pass the Buddhist (mindful journalism) test if they had an honest belief the material was “factual, true, beneficial” while perhaps being “unendearing and disagreeable to others”, as long as they had chosen the “proper time” for reporting it (Thanissaro, 1997). However, the U.S. defences driven by the First Amendment takes this liberty a step too far under this schema, because it allows unbeneficial, unendearing and disagreeable material to be published about public figures as long as it has not been done with malice. It also allows for untruthful gossip-mongering, as identified earlier in the Saleyyaka Sutta (Nanamoli, 1994) as ethically problematic. 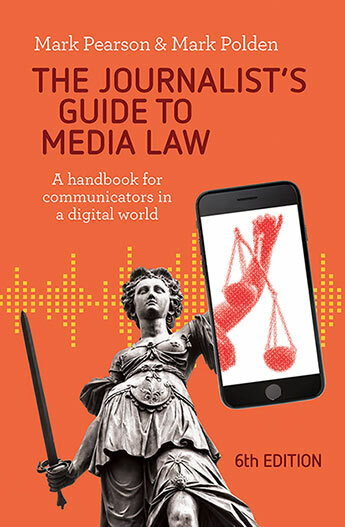 Such analysis shows promise in the field of media law analysis, reform and policy development because it provides a working ethical framework to apply to legislation and the fact scenarios of particular cases. The article applies the ‘Right Speech’ principles of Buddhist ethics to analysis of the Royal family prank call episode which resulted in a High Court appeal in Australia and to a racial discrimination case heard in Australia’s Federal Court over comments on a West Australian news website.